Parking: Free parking lot off of Fairmont Drive in San Leandro, at the address above. 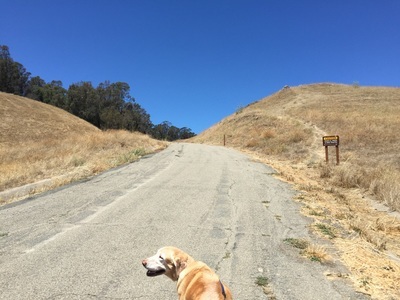 Best time to visit: Anytime, but the main trail from the parking lot can get hot on sunny days. 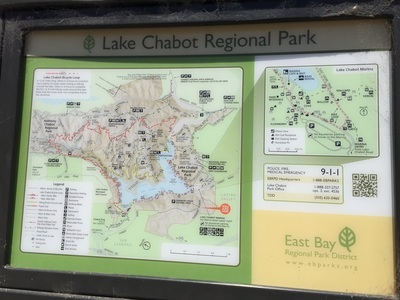 Description: This is part of Anthony Chabot Regional Park, but there is no access down to the lake from here. However, there are gorgeous views of the lake from above and a 280-acre park to explore. Don't let the EBParks map fool you, because it only shows a short paved trail through the center. 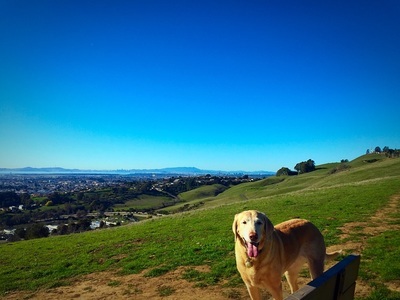 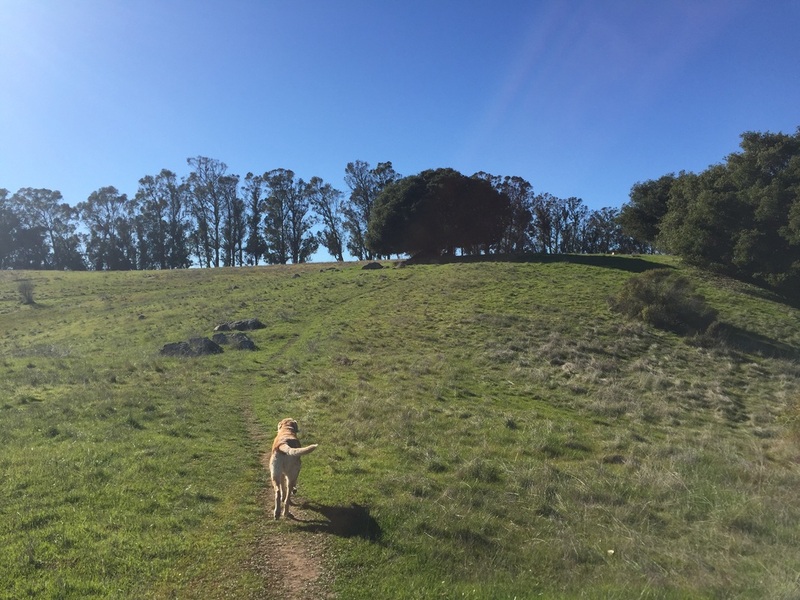 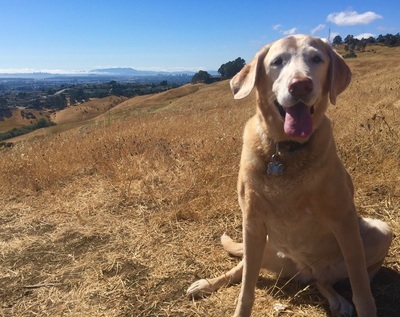 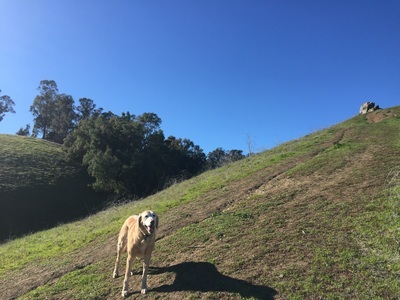 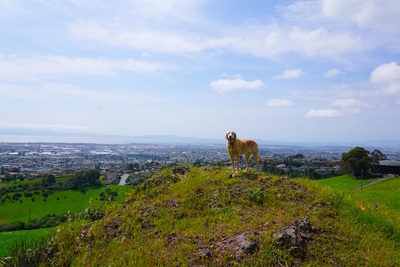 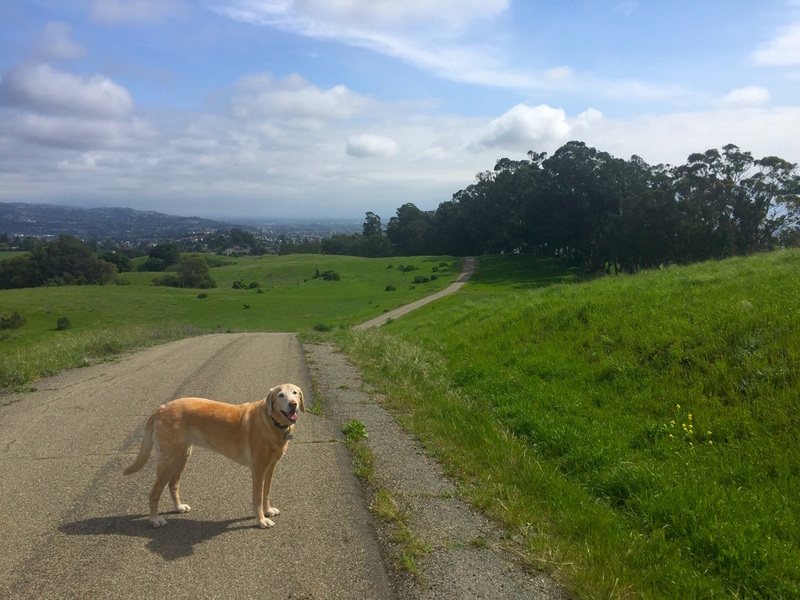 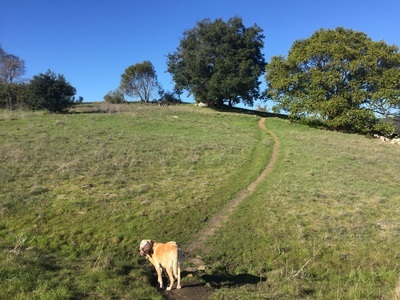 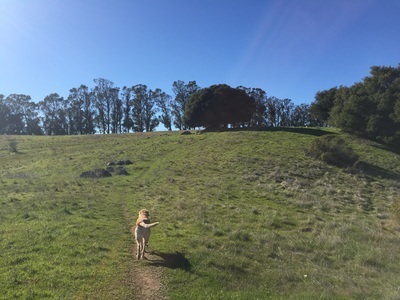 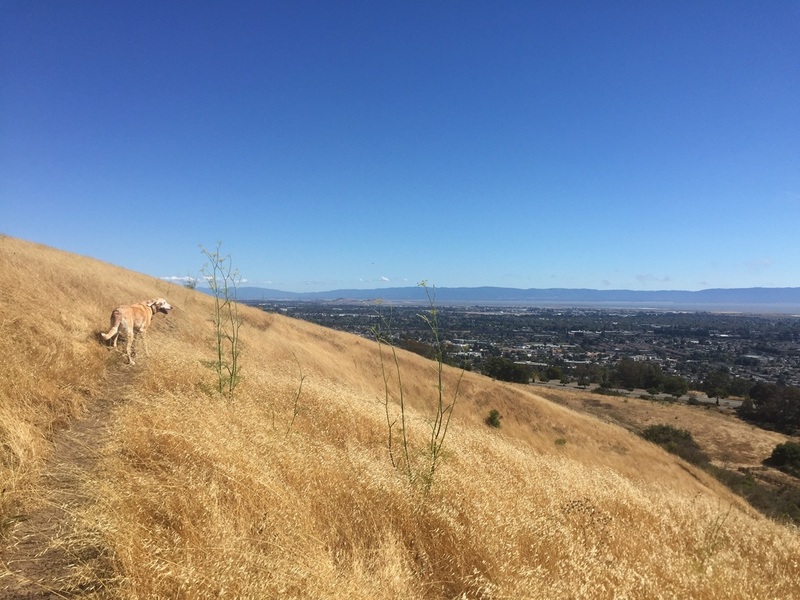 There are miles of unpaved, off-leash trails to explore to the right and left of the paved trail. From the parking lot, a steep, paved hill takes you up along the ridge with plenty of unpaved trails to your right and left. 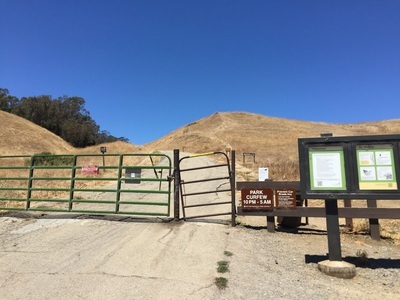 After reaching a plateau at the top of the paved trail, you can make a left and follow the trail through the cattle gate and out onto the hillside. 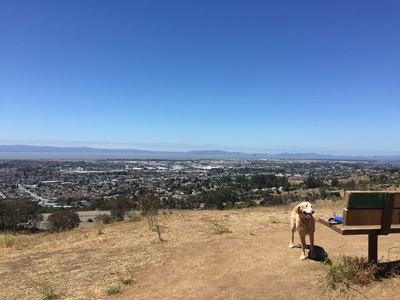 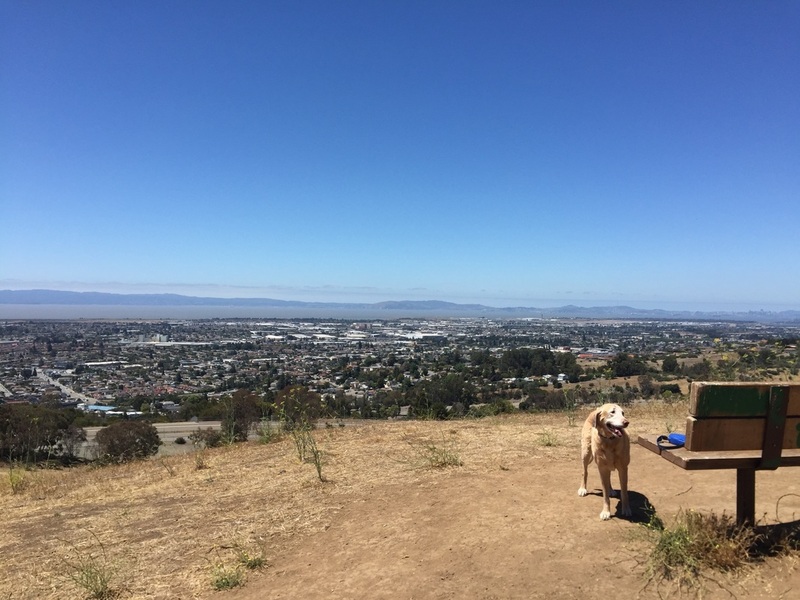 From here you can see beautiful, panoramic views of the bay, a nice breeze, and there are even benches on the hillside where you can stop and enjoy the view. 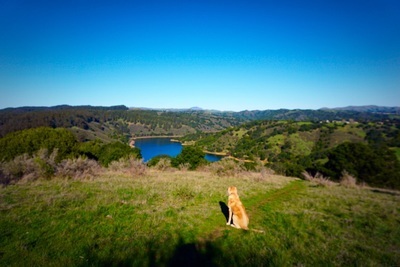 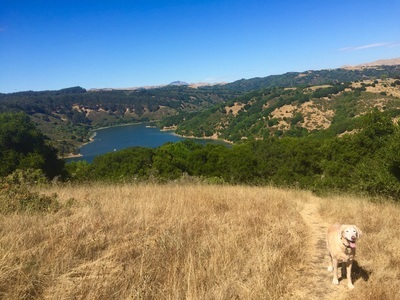 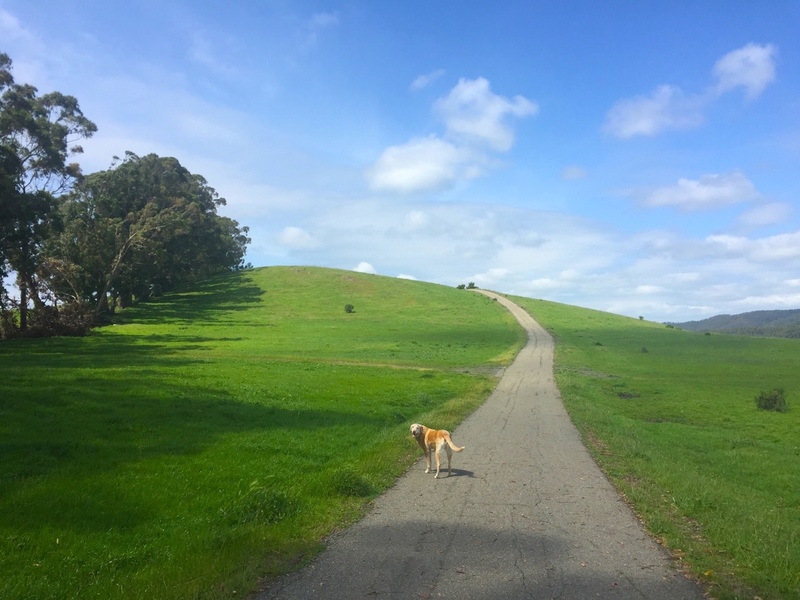 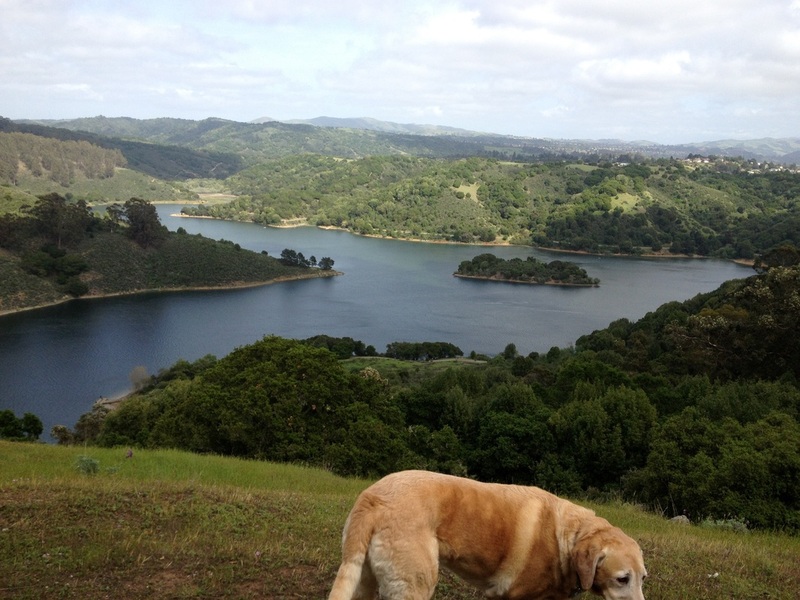 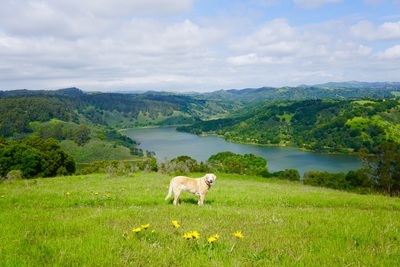 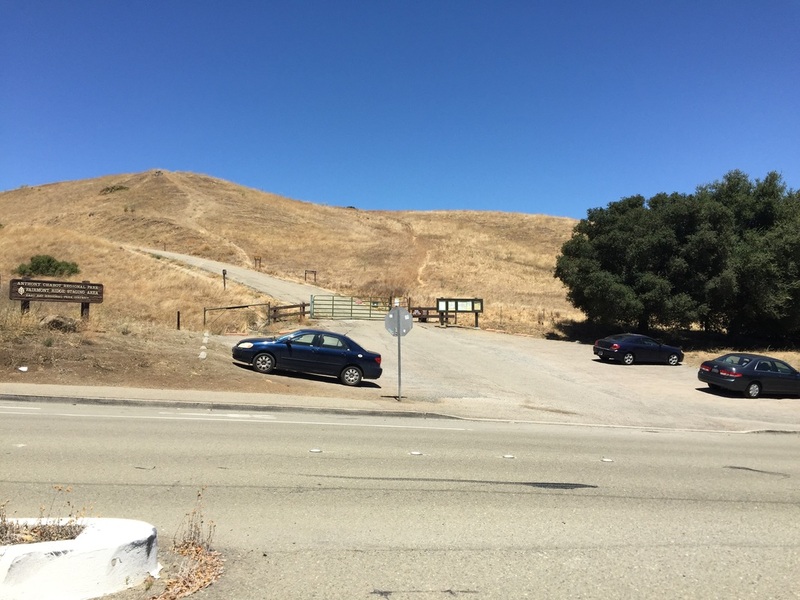 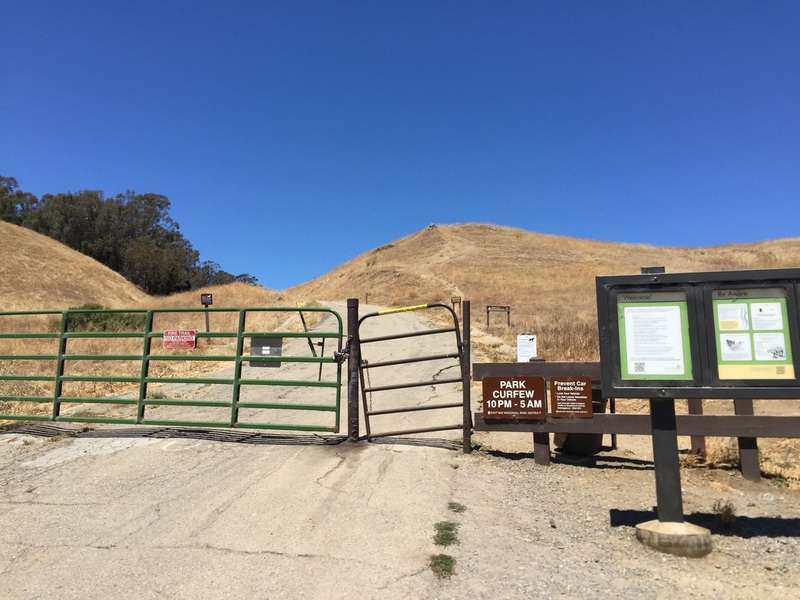 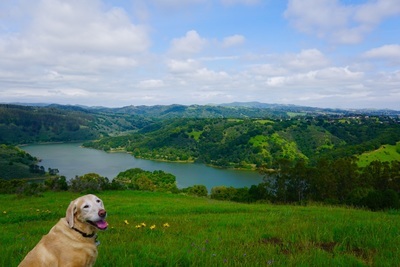 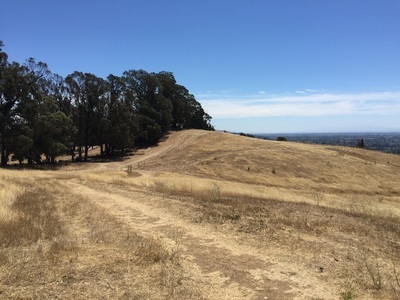 From the main paved trail, if you take any of the trails to your right, you will be able to enjoy some great views overlooking Lake Chabot on the hillside. 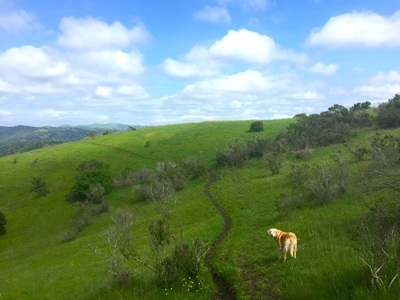 Although there are signs for grazing cattle, we have never seen any here. 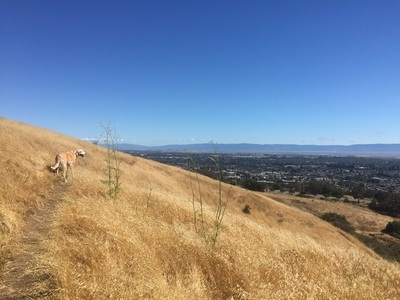 In the summer most of the park is dry, but the rest of the year the hillside is a vibrant green and dotted with wildflowers.